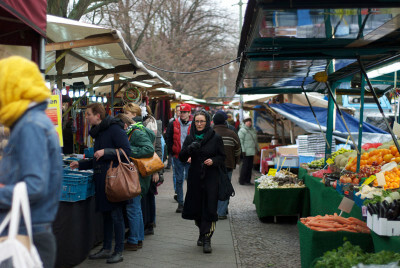 Every Tuesday and Friday, Maybachufer Strasse, a pretty, tree-lined street running alongside the Landwehrkanal (Landwehr Canal) in Berlin’s Neukölln neighborhood, comes alive with the hustle and bustle of the city’s biggest Turkish market, the Türkenmarkt. 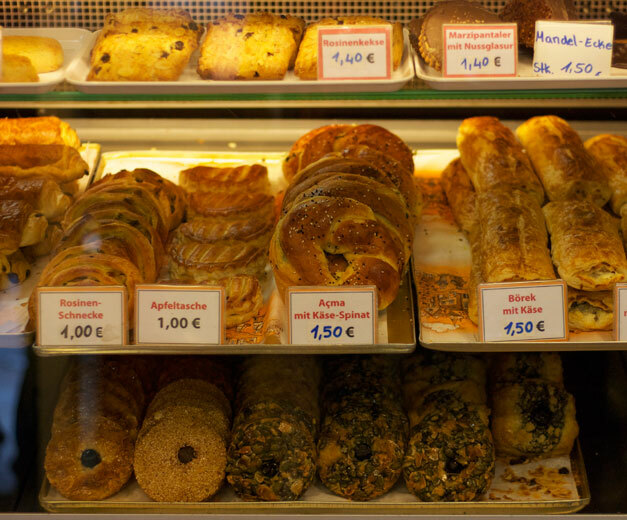 Locals of native German and Turkish origin alike haggle over freshly made breads and cheeses, dips and dolma, produce, fish and meat and goods imported direct from Turkey: jams, yogurts, spices, coffee and more. There’s no need to wait until you get home to indulge: many of the munchies on display are Turkish snack foods, designed to be eaten on the move. Hüseyin Ayvaz does a roaring trade in various types of dolma, or stuffed vegetables; börek pastries layered with spinach and tulum, a soft white cheese; and the house specialty, gözleme, an oven-baked, soft flatbread baked in a saç (a large, bell-shaped metal dish covered with ashes and live coals), filled with cheese, tomato and arugula, then rolled for easy handling and eating. 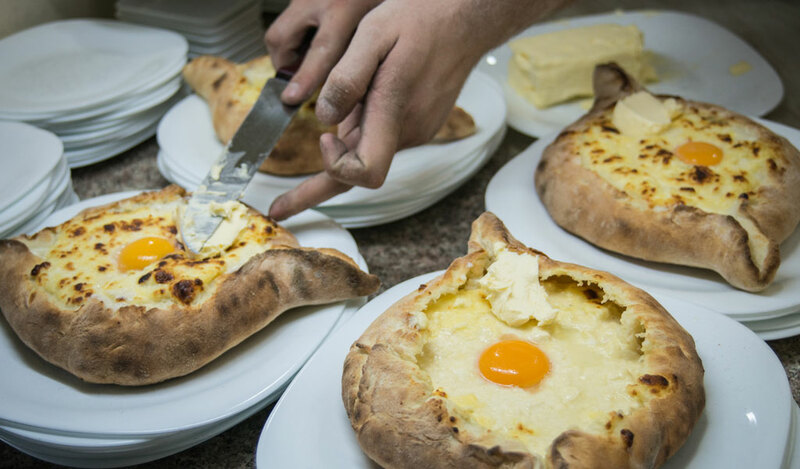 Ayvaz moved to Berlin from Trabzon, a city on the Black Sea on Turkey’s northeastern coast, in 1987, and has been trading at the Türkenmarkt for eight years. He is one of Berlin’s estimated 110,000 German Turks. Between 3.5 and 4 million people of Turkish origin live in Germany. After the Germans themselves, they form the country’s largest ethnic group. Turks first settled in Germany in the 16th and 17th centuries, following the Ottoman Empire’s unsuccessful attempt to expand its territories with sieges in Vienna in 1529 and 1683. But it was in the 1960s that large waves of migration began, as Turks seeking relief from political unrest and mass unemployment at home took up the German government’s offer to recruit foreign workers and relocated to Berlin. They were allowed to settle in one of three suburbs: Neukölln, Wedding and Kreuzberg. 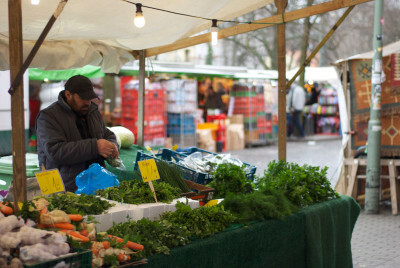 Today, Kreuzberg is affectionately termed “Little Istanbul” by the locals, and for good reason. Kazım Binici came to Berlin with his family at the age of 10 and today is the co-owner of Defne, in Kreuzberg. Considered one of the best Turkish fine-dining restaurants in Berlin, Defne, like the Türkenmarkt, is located near the Landwehrkanal. In summer, diners sit outside and soak up the evening sunshine that keeps Berlin aglow until as late as 10 p.m. 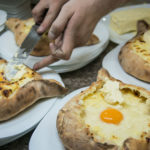 They can have an entrée, main and dessert from the East Anatolian-inspired à la carte menu, or dine meze-style by grazing on appetizers like Arnavut ciğeri, lamb’s liver with onions, parsley, yogurt-garlic sauce and herbed butter. Turkish food is typically simple and full of flavor. Like their neighbors in the Mediterranean, Turkish chefs value fresh vegetables, meat and seafood, fragrant olive oil, taste bud-tingling spice combinations and the ızgara, or grill. Middle Eastern staples like rice, dried fruits, grape leaves, yogurt and spices like cinnamon and saffron are laid over the top, and Buyurun! Afiyet olsun! Here you go! Bon appétit! “I love Berlin. Berlin brought me up; it’s one of the most beautiful cities in the world. It never sleeps! It’s a nice mix of people of all ages and cultures; it’s like a rainbow of colors,” Binici says emphatically over a tall glass of “lion’s milk” – two fingers of rakı, the anise-flavored clear spirit that turns a cloudy white when iced water is added. It’s true. 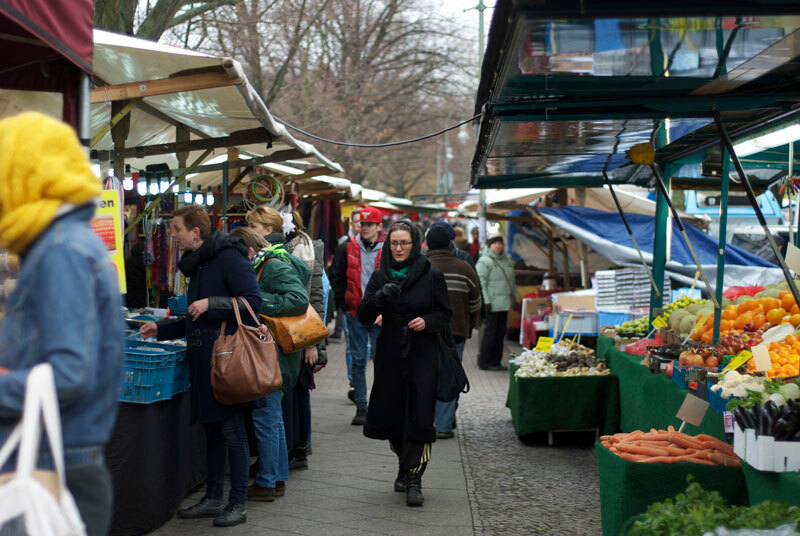 Life on the streets of Berlin is culturally diverse, exciting and dynamic. 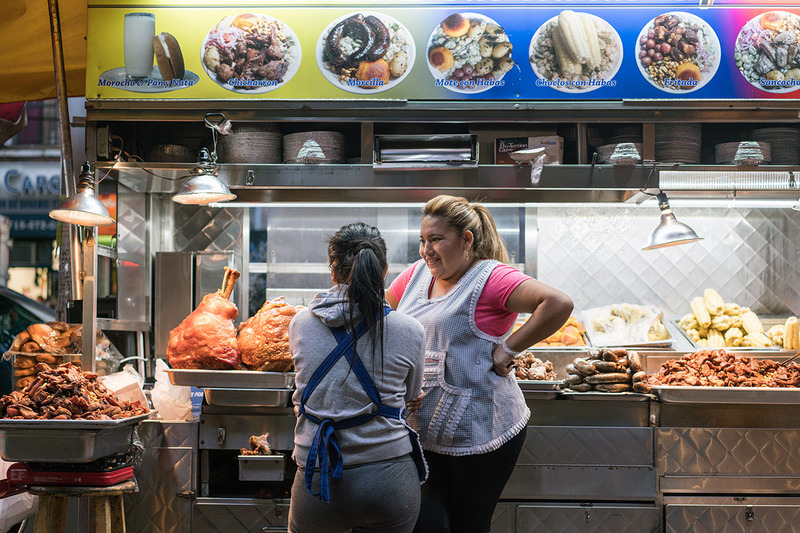 Once, there was a sausage stand on every Berlin street corner; now it’s a kebab shop. 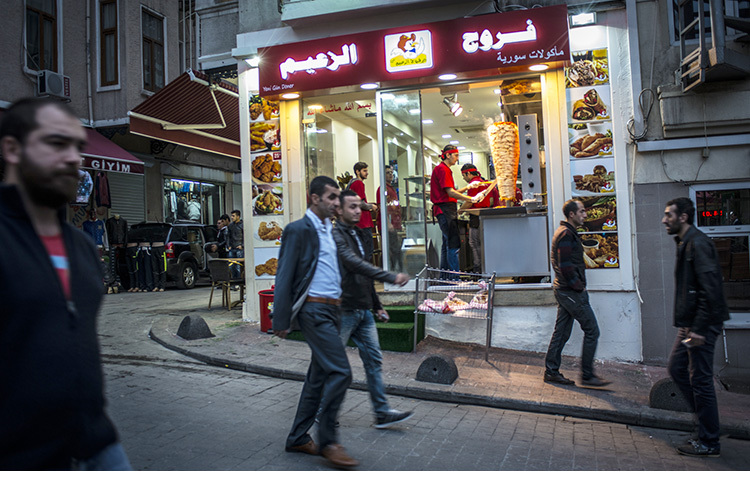 In fact, döner kebab as late-night revelers around the world today know it – lamb, beef or chicken strips served in a Turkish pita with salad and sauce – is claimed to have been invented in Berlin in the early 1970s by Mehmet Aygün, a Turkish immigrant who founded the popular Hasir Kebab Houses. Aygün put the İskender kebab, which was traditionally served on a plate, in bread, and thus the döner kebab was born. He was hailed as a national hero when he died in 2009. İsmail Fırat, a soft-spoken, gentle man from the city of Adıyaman in southeastern Turkey, came to Berlin in 1990. 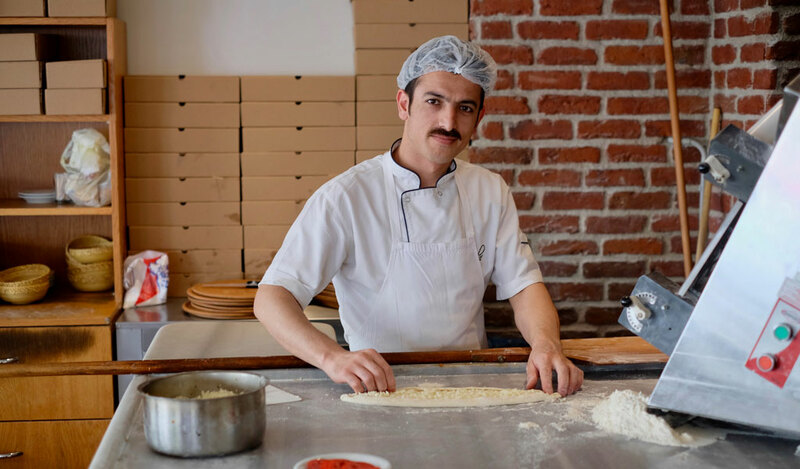 Soon after arriving he met Üzeyir Kahramanoğlu, and together they opened a cozy, blue-tiled eatery, Doyum Restaurant, on a cobblestoned corner in Kreuzberg. 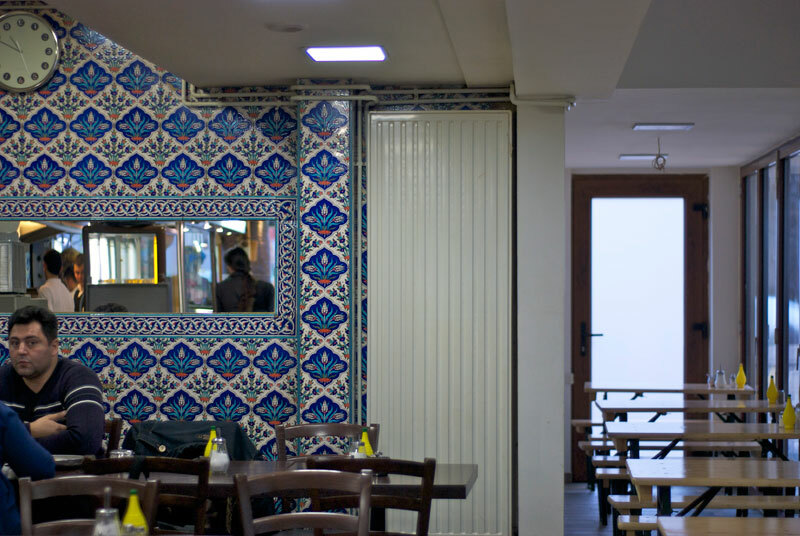 Meaning “hearty” or “satisfying” in Turkish, Doyum serves Adana, döner, İskender and shish kebabs from 11 a.m. until late, seven days a week, along with a range of pides, Turkish pizzas, salads, sweets and secret-recipe soups, including kelle paça çorbası, an oily soup with lamb’s brains and trotters, and mercimek çorbası, a thick and creamy lentil soup. 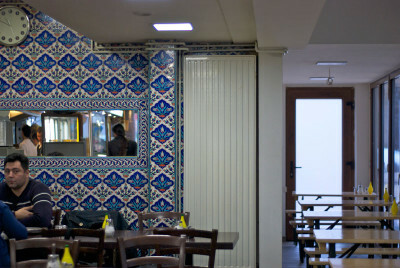 Berlin’s Turkish chefs have astutely adapted traditional Turkish fare to the German palate and way of life. 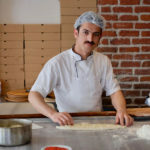 Take baker Erol Çamlı. It didn’t take him long to realize that keeping the doors of his Turkish bakery in Kreuzberg open all hours would be good for business. 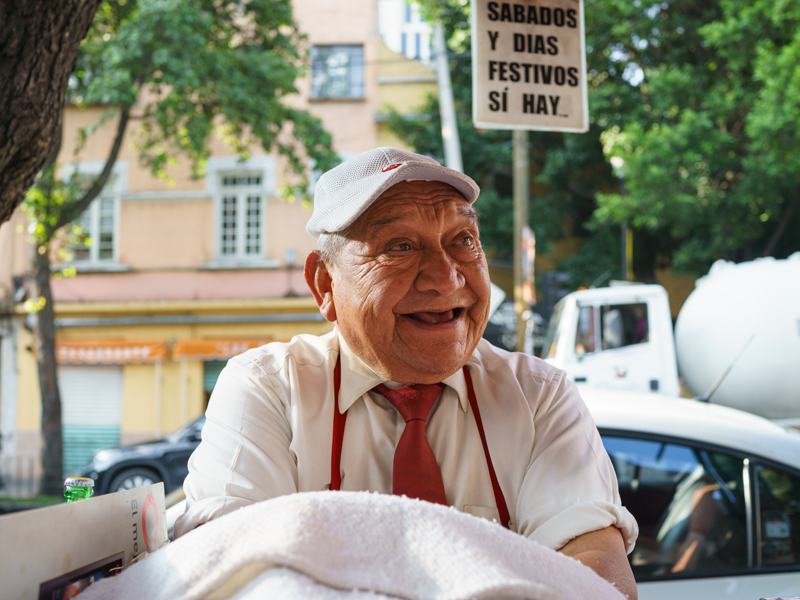 So he did, and today, Bakerei Salut is not only popular with locals wanting to buy fresh bread for breakfast, it’s a hot spot for club kids wanting a late-night s nack. “People in Berlin are always in a hurry; they don’t have time to stop and savor things. In Turkey, we like to eat our food slowly. We sit down together, we might listen to some music, we eat and talk, we enjoy it.